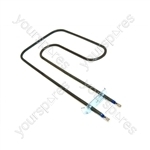 Genuine spare part suitable for selected Creda and Hotpoint cookers and ovens. No problems with ordering and delivery except it took slightly longer than I had expected having paid £2.99. Product received well packaged, installed in ten minutes and oven now cooking our evening meal! Ordered part on monday and arrived on thursday, well before their estimated date of arrival. Element well packaged. 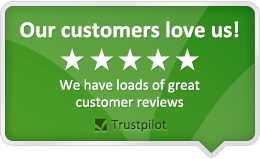 Very good service would certainly use again. When the Oven Element 'popped' I needed a quick and cost effective replacement, and this part from Your Spares fit the bill perfectly. A quality part at an affordable price. I would certainly recommend purchasing from Your Spares, and will be sure to come back here for any future requirements. Only slight negative - Packaging wasn't very substantial. The item was bubble-wrapped in a Plastic Bag but the spade connectors had pushed through splitting the packaging in-transit, and were a little bent on arrival. Luckily they straightened easily, but more robust packaging would avoid this and achieve 5 stars. Standard delivery ordered sat arrived tues. Isolate from mains, Unscrew light cover, remove 4 screws on back panel, undo one screw holding element, remove two spade connectors. Reverse to fit, easy job.